Cards and directions for a conversation game, hope it helps. Find more games at zaildacoirano.com. Thanks for downloading and have a nice day! 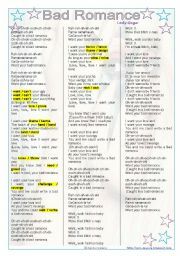 I used this popular song in Brazil (because of a soap opera) to provide 2 tasks (listening, comprehension + writing). It can also start a debate on love & relationships. It’s editable / correctable, hope you can use it. Thanks for downloading and have a nice day! 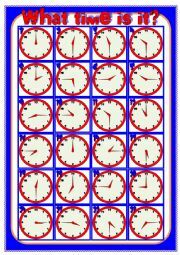 A boardgame to practice telling the time and to develop the students´ oral skills as well. I draw the clocks to prepare the game and some wss. You can find them at zaildacoirano.com. Hope it´s useful. Thanks for downloading and have a nice day. 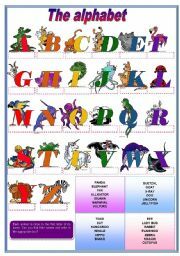 This is the first part, it was a ws on alphabet & spelling but it was to heavy, I had to split it into 2 wss, you´ll find the second part here: http://www.eslprintables.com/printable.asp?id=268138#thetop . 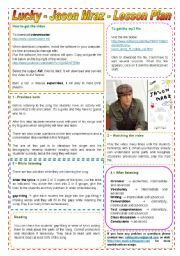 I prepared it for my beginners, who will learn this topic this semester. Hope you find it useful. Thanks for downloading it! 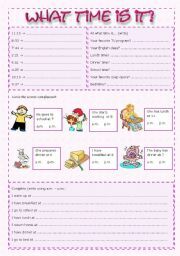 Third ws of the set, containing exercises to practice telling the time. Students complete the expression either with "do" or "make". 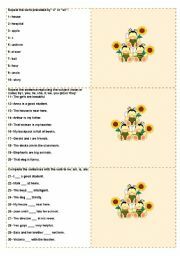 As a variation you can ask students to make up an original sentence with the expression. The boardgame and the 52 cards are editable, so you can adapt them to your ss´ needs. Lists of expressions and instructions included. 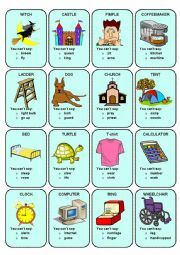 Hope it´s useful. Thanks for downloading and have a nice day!